You can see a promo from the show HERE. The Americana Music Association® is a professional not-for-profit trade organization whose mission is to advocate for the authentic voice of American roots music around the world. The Association produces events throughout the year; including AMERICANAFEST®: The Americana Music Festival & Conference and the critically acclaimed Americana Honors & Awards program. 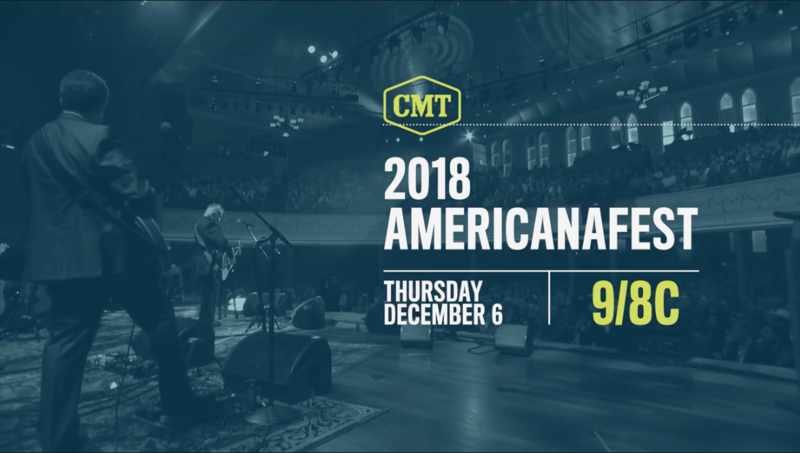 The Americana Music Association® receives enormous support from the Tennessee Department of Tourism, Nashville Convention & Visitors Corp, Lagunitas Brewing Company, Mountain Valley Water, ASCAP, BMI, SESAC. For more information, please visit americanamusic.org.